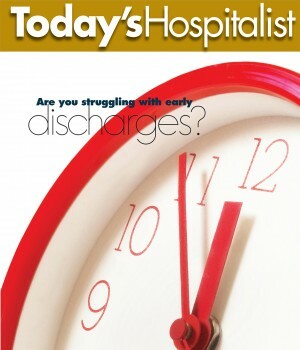 Home Cover Story Are you struggling with early discharges? FOR SEVERAL YEARS, hospitalists at the University of Virginia Medical Center in Charlottesville worked to meet an early-discharge target: Physicians were expected to place 50% of their discharge orders by 9 a.m., and patients were supposed to be out of their beds by noon. But the hospital ran into the same problems that many groups struggle with when it comes to early discharges. Length of stay went up, and “there was clear evidence of gaming in some instances,” with doctors keeping patients who could have been discharged the day before overnight to meet the incentive, says hospitalist director, George Hoke, MD. The UVA initiative was abandoned by 2015 and never resurrected. Not so, says hospitalist Katherine Hochman, MD, the former hospitalist director and now associate chair of quality at New York’s NYU Langone Medical Center. For years, NYU Langone has sustained a better-than-40% discharge-before-noon rate—with patients out of their beds by noon—as described in separate studies published in the April 2014 and October 2015 issues of the Journal of Hospital Medicine. So who’s right? The conflicting opinions underscore the fact that hospitalist groups implementing early-discharge initiatives report a wide range of experiences, from train wreck to high-functioning discharge machine. 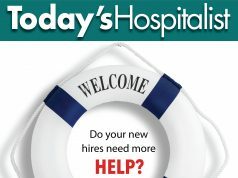 The 2016 Society of Hospital Medicine survey notes that just over half— 54%—of nonacademic hospitalist groups that treat adults have an incentive tied to early-morning discharge orders or times, meaning that just under half don’t. It’s a controversial topic that generates a lot of debate. The right answer is that it depends, says Jose Fernandez-Duarte, MD, the system medical director for five TeamHealth hospitalist programs within Memorial Healthcare System in southern Florida. He and his colleagues launched an early-discharge initiative in one hospital last year. The 227-bed Hamilton Medical Center in Dalton, Ga., launched an early-discharge initiative earlier this year. But as Laura Conger, MD, the hospitalist director, explains, it’s already crashed and burned. But what really killed the initiative, she explains, was the fact that all the other hospital services involved in discharges weren’t retooled to follow the hospitalists’ lead. Housekeeping was particularly hard-hit by the early orders and ended up being over-staffed at some times, under-staffed at others. As a result, patients ended up spending many more hours in the hospital after discharge orders were placed than they had before. At the other end of the spectrum, NYU Langone’s Dr. Hochman credits comprehensive coordination for her center’s discharge-before-noon (DBN) success. Far from being just a hospitalist project, the initiative became “a really big part of hospital culture. We’re very metric-driven,” an approach that includes ancillary and administrative services. The original 2012 initiative involved only one general medicine floor but plenty of preparation and fanfare: a kickoff event and unit champions, an interdisciplinary checklist and twice-daily DBN automated e-mails, real-time progress posters, and a late-morning meeting with medical directors and nurse managers to review that day’s “failed” DBNs. Many “fails” were due to transportation and communication problems, Dr. Hochman says. As one fix, case management began targeting patient transportation the day before discharge. After five years, says Dr. Hochman, the DBN metric is so well-established that it’s now part of physician incentives. But initially, it wasn’t incentivized. Instead, Dr. Hochman made the case for patient safety as to why patients should be discharged as soon as appropriate, and success with the metric was celebrated with pizza parties and cupcakes, not bonuses. At St. Peter’s Hospital in Albany, N.Y., an early-discharge initiative likewise isn’t incentivized. Instead, “it’s all about the pride,” says Thea Dalfino, MD, hospitalist department chief. Launched in 2015, the initiative’s goal is to have the group’s 13 rounding physicians and five advanced practitioners submit discharge orders for seven patients before 10 a.m.
“We were at 15% when we began, and we’re up to 29% without any increase in length of stay,” says Dr. Dalfino. To motivate doctors, she posts “everyone’s names, how many orders they did that day and that week” in the hospitalist office every day. While doctors have been meeting (or beating) their target for more than a year, that daily list is still posted. But at Mississippi Baptist Medical Center in Jackson, Miss., hospitalist medical director Matthew George, MD, says his doctors have received financial incentives since their early-discharge initiative (50% of discharge orders before noon) began in January 2016. One change: The group has had a longstanding policy that doctors should see emergent patients first in the morning, then potential discharges. (See ““Which patients should you see first?“.) But “some people still wouldn’t make discharges a priority,” he says, until the incentive was put in place. One reason why UVA’s Dr. Hoke remains skeptical of early discharges is that he believes the targets being set aren’t reasonable, at least not for general medicine patients. High discharge targets for “protocolized services,” like the elective joint-replacement unit his hospitalists comanage, have been helpful. “They forced case managers, social workers and nurses to change their schedules to make discharges happen earlier,” he says. 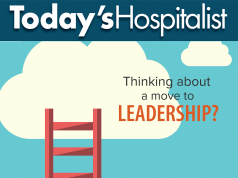 With such a predictable patient population, hospitalists can routinely file 50% of discharge orders by 9 a.m. But with general medicine patients, “we were never at 25%, and often much lower.” As Dr. Hoke sees it, only a few general medicine patients are even appropriate for early-morning discharge, such as those needing another day of IV antibiotics or renal-failure patients for whom doctors want to check a morning creatinine. Dr. Hoke admits, however, that it’s tough to process discharges after 6 p.m., particularly because peak admissions occur between 3 p.m. and 11 p.m. Starting this September, his center is adding a swing shift with an additional doctor doing admissions during those hours. That should help day rounders more efficiently process late-afternoon discharges. But in southern Florida, Dr. Fernandez-Duarte says that a target of 50%-55% of discharge orders before noon (not before 9 a.m., which was the now-defunct threshold at UVA) works for his group. For one, the hospitalists were already filing between 35% and 40% of discharge orders by noon, so the target was achievable. Currently, the hospitalists are part of a non-teaching service, which frees their time to concentrate on early discharges. In addition, his group tends to have what Dr. Fernandez-Duarte calls “the right patient population” for early-morning discharges: mostly insured patients with available follow-up. At the same time, says Dr. Fernandez-Duarte, hospitals chasing early-discharge targets have to build in safeguards to prevent inappropriate utilization of the metric. Along with the percentage of discharge orders filed before noon, he tracks the hospital’s raw length of stay as well as CMI-adjusted length of stay. Transportation’s goal, for instance, is a 30-minute turnaround, while the target for bed turnover with a clean bed is 60 minutes. At Mississippi Baptist, Dr. George says hospitalists easily meet their 50% target of discharge orders by noon with “crazy high” percentages that sometimes top 80%. Data show, for instance, that so far in 2017, more than 70% of discharge orders were filed before 11 a.m.
At the same time, the hospitalists have seen their patient satisfaction scores rise and length of stay go down. But Dr. George chalks that reduction to several other initiatives that have been put in place. Also tamping down length of stay, says Dr. George: low physician turnover and eliminating the use of locums. In addition, putting a dedicated admitter in place has meant that rounders have more time to focus on timely discharges. At Good Samaritan Hospital in San Jose, Calif., Mariam Hasan, MD, the medical director of the hospitalist group affiliated with the staffing and management company CEP America, is on the fence about the early-discharge initiative she and her colleagues put in place early this year. That initiative set a target of 60% of discharge orders filed by 11 a.m., backed by a quarterly bonus. While the doctors have been hitting the target, Dr. Hasan also watched length of stay creep up to be a half-day longer. But then the May data arrived, “and we brought length of stay down a whole day from 5.6 in April to 4.7,” she says. So does that mean the initiative is a success? Dr. Hasan isn’t sure yet. For one, May also brought a lower case load and a better mix of insured patients. A new swing shift implemented that month helped physicians in the afternoon focus more on next-day discharges. And Dr. Hasan thinks another initiative has had a big impact. 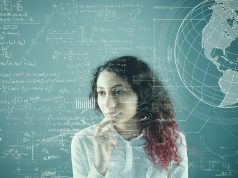 “We’ve spent a lot of time re-educating physicians about how to improve their documentation.” That has, she adds, made a “big difference” in terms of improving their observed-over-expected length of stay. “We’ve had success, but only for one month, with a lot of contributing factors,” she says. “I’ll continue to check the data and I’m keeping my fingers crossed, but my eyes open.” If it turns out that a lower length of stay can’t be sustained, it may be time, she notes, to revisit that 60% target. Which patients should you see first? HOW DOCTORS like to structure their mornings has a lot to do with their ability to process a.m. discharge orders. see unstable patients first, then overnight admissions and then patients who may be discharged that day. Dr. Dalfino’s group is also rescheduling rounds to better accommodate early-morning discharge orders. Previously held at 9 a.m., rounds are being moved to 10 a.m. or 10:15 a.m., depending on the unit. The target goal was for each hospitalist to try and file a discharge order for one patient before 10 a.m.
At New York’s NYU Langone Medical Center, hospitalist and associate chair of quality Katherine Hochman, MD, describes the schedule that’s helped the medical center sustain a betterthan-40% discharge-before-noon rate, with patients actually out of their beds by noon. First thing in the morning, hospitalists round on potential discharges, then confirm that those patients can leave at a 9 a.m. interdisciplinary safety huddle. Multidisciplinary rounds with patients aren’t held until 1:30 in the afternoon. • Try piloting super-early discharges. Even though the rounders in her group each try to file discharge orders for one patient before 10 a.m., Dr. Dalfino notes that rehab facilities complained that patients being transferred weren’t arriving early enough to receive rehab that day. In response, hospitalists have piloted what they call “super-early discharges” on two floors (out of 13). Instead of having the day hospitalists, who begin at 8 a.m., file discharge orders for patients in the morning, day doctors and ancillary services get all the paperwork in place the day before. The nocturnists visit those patients at 5 a.m. the morning of discharge and file the order, allowing patients to be out the door by 7 or 8 a.m. The pilot has proceeded slowly, says Dr. Dalfino, because “it has a lot of pieces to it. Both overnight nurses and hospitalists had to learn to do discharges.” She has also assured nocturnists that if the volume of super-early discharges becomes onerous, she’ll hire a nurse practitioner to fill that role. • Make discharges run more smoothly. One program in place in Dr. Hoke’s center is a meds-to-beds program: A pharmacy tech takes the prescription list of patients being discharged, fills those scripts at the hospital’s outpatient pharmacy, then delivers the drugs to patients before they leave. Another innovation his group put in place: An administrative assistant the afternoon before discharge sets up outpatient follow-up appointments for patients. Knowing that patients have timely follow-up, Dr. Hoke notes, reassures some doctors who may be reluctant to discharge patients that they can leave sooner rather than later. • Make use of a discharge pharmacist. That’s been a big help at Hamilton Medical Center in Dalton, Ga., says hospitalist director Laura Conger, MD. When the group was trying to get an early-discharge initiative off the ground, the discharge pharmacist changed her workflow “to get in front of potential discharge patients earlier in the day,” Dr. Conger explains. • Standardize discharge criteria with other services. Dr. Dalfino worked with her GI department to set expectations on the diet patients will be discharged on. “They really need to tolerate only clears, not be eating full diets,” she says. “That’s supported by the literature and by our GIs and surgeons.” That’s also shaved two days off many GI patients’ length of stay. • Create a discharge lounge. When Memorial Hospital West in Pembroke Pines, Fla., instituted a discharge-before-noon initiative last year, it also created a discharge lounge. According to Jose Fernandez-Duarte, MD, the system medical director for the TeamHealth hospitalist groups within Memorial Healthcare System, that gives patients being discharged a place to wait for transportation once their discharge education and medication reconciliation is completed. Just say “no” to conditional discharges. Even before Dr. Fernandez-Duarte’s group put an early-discharge initiative in place, it adopted a policy that “you cannot write discharge orders with a bunch of ‘ifs.’ You can’t meet a discharge metric with orders that say, ‘Patient can be discharged if an X-ray comes back with a certain result or if cardiology clears the patient.’ ” Otherwise, he says, it may lead to inappropriate use of the metric. 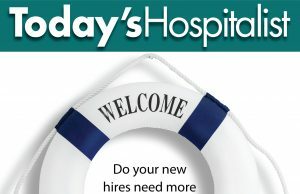 1 Comment on "Are you struggling with early discharges?" Lean management would suggest that batching discharges before noon is a bad idea. Increase resources in AM to save resources in PM?